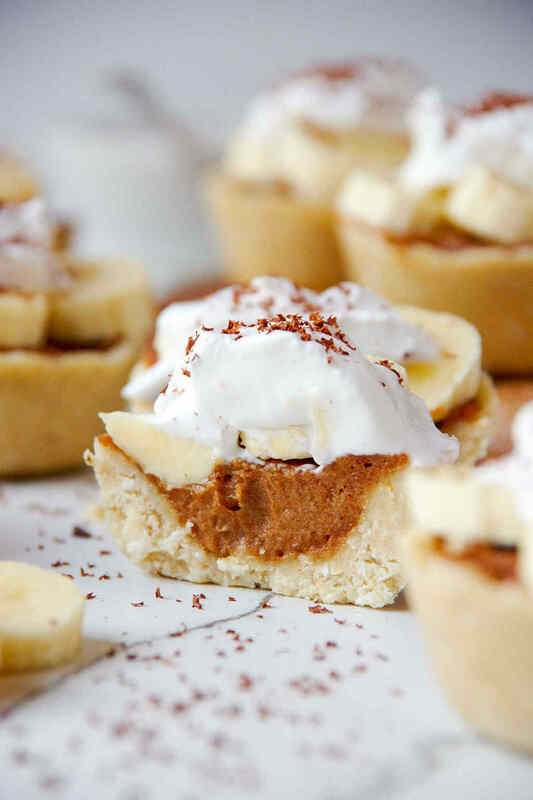 Banoffee Pie is a classic British dessert and one of my favourite all time desserts. 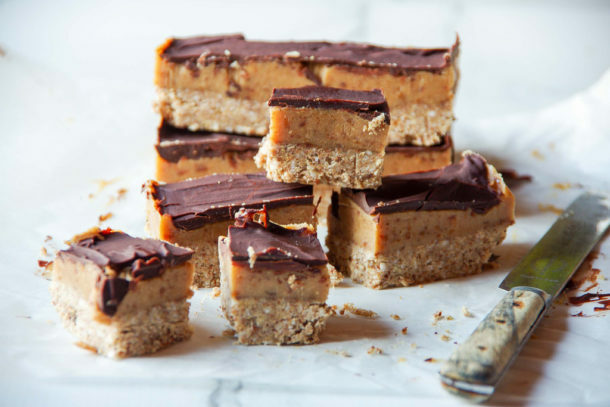 Traditionally Banoffee = Banana + Toffee, but this take on the original includes date caramel, banana and coconut yoghurt for a healthier spin. 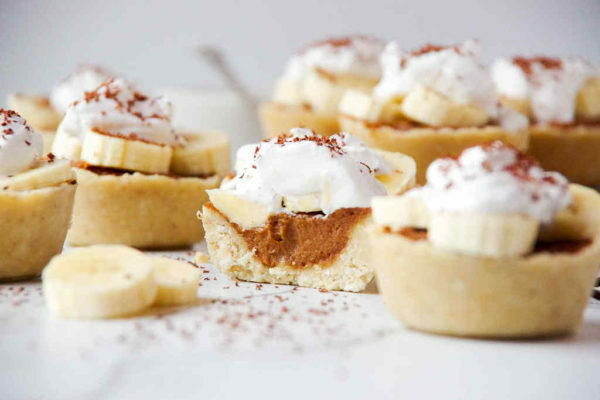 Easy to make but very impressive to serve, these raw banoffee pies will impress the pants off anyone. The caramel part of a banoffee pie is typically made using condensed milk (boiled in the can for 2 hours until smooth and sticky) but I’ve used dates and peanut butter for a rich caramel taste. Instead of whipped cream, I’ve chosen coconut yoghurt, but you could equally whip some coconut cream. Simply leave a can of coconut cream in the fridge overnight, remove the hardened cream (reserving the liquid) and whip it like you would dairy cream! Cover the dates in boiling water and set aside. 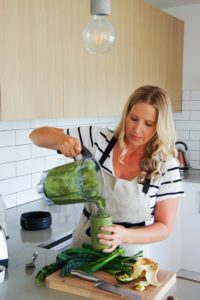 In the bowl of a food processor, add almond meal, oats and coconut. 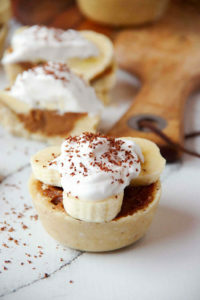 Mix well then add coconut butter, oil and maple syrup until it forms a crumbly crust that comes together in your fingers. 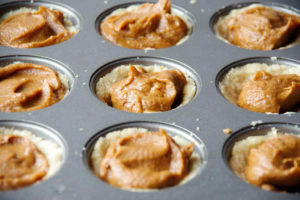 Remove the blade of the food processor and scoop one heaped tablespoon of mixture into the base of a muffin tin and press it up the sides to form a mini pie crust. Repeat until all mixture is used up. Place tray of pie crusts in the fridge. In the food processor, place soaked dates, peanut butter, coconut oil and milk and hot water. Blend until silky smooth caramel forms (this can take 2-3 minutes). Remove pie crusts from the fridge and fill with caramel, smoothing the tops. Slice bananas and place three banana coins on each pie. Finish off the pies with a teaspoon of coconut yoghurt and some grated chocolate. The crust and filling keep well in the fridge for up to 5 days, but add banana and yoghurt immediately before serving so that the bananas don't go brown.